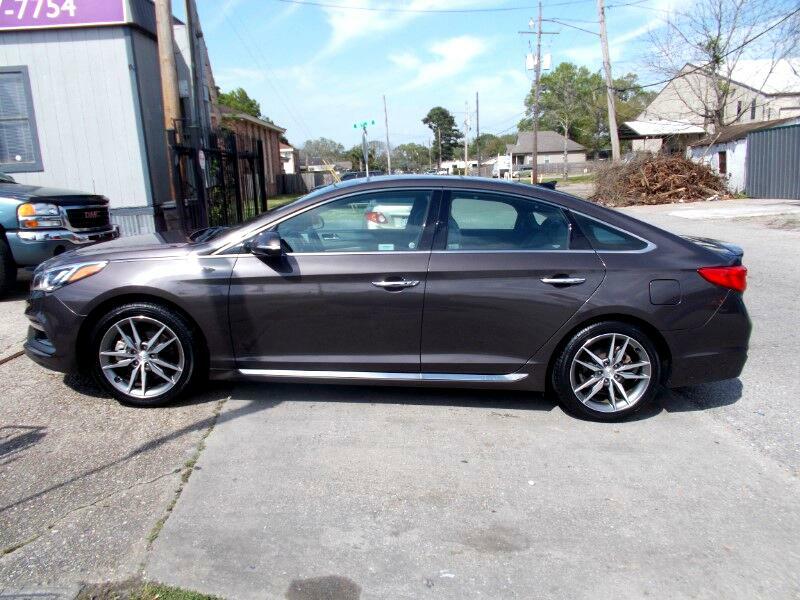 Used 2015 Hyundai Sonata Sport 2.0T for Sale in New Orleans LA 70116 Quality Used Cars Inc. THIS 2015 HYUNDIA SONATA IS THE TOP OF THE LINE EDITION. IT HAS AS MANY OPTIONS AS A LEXUS. IT'S FULLY LOADED WITH LEATHER SEATS, A PANANARA SUNROOF, HEATED AND AIR CONDITIONED SEATS, NAVAGATION, SATELITE RADIO ETC. THIS CAR IS IN EXCELLENT CONDITION AND DRIVES GREAT. IT HAS HIGH MILES 151,261 MILES BUT YOU WOULD NEVER KNOW. THIS CAR IS PRICED TO SELL FAST FOR ONLY $9850 SO HURRY UP AND GIVE US A CALL AT 504-943-4127 TO SCHEDULE A TEST DRIVE. THIS CAR IS LOCATED AT 1724 N. RAMPART ST. IN NEW ORLEANS NEAR IN THE FRENCH QUARTER. QUALITY USEDCARS HAS BEEN IN BUSINESS FOR OVER 30 YEARS. VISIT US AT QUALITYUSEDCARSLA.COM TO SEE MORE VEHICLES IN OUR INVENTORY.